Milford, CT, November 11, 2009: According to a new book, many companies that charge authors to publish their books grossly overcharge for their services and are deceptive and careless. One company charges $249 for a copyright registration— that can be obtained easily by anyone for $35. Another charges $1.99 each for promotional postcards that are readily available for about 10 cents each. Others claim to publish books for free— but no books are printed unless the publisher gets paid. The Library of Congress charges ZERO for a Control Number and it takes about five minutes to request one. One publisher charges its customers $99 to order the Control Number. Some publishers claim to be “joint-venture,” “co-op” or subsidy” publishers— but the authors pay 100% of the cost of publishing. Most of these businesses claim to be “self-publishing companies,” but a newly published book explains that they are not. Marcus has been writing professionally for over 40 years, and has had books published by traditional publishing companies both large and small. “One thing these companies all had in common,” says Marcus, “is that they published books that I didn’t like and they didn’t pay me much.” In an effort to have more control, produce better books faster, and make more money, Marcus formed Silver Sands Books in 2008. He initially planned to publish just one book, but this book is his fifth, and it shares what Marcus learned while publishing the first four. There is lots of confusion about self-publishing, particularly caused by vanity presses that hide behind popular buzzwords such as “self-publishing,” “print-on-demand,” and “indie.” This book will help writers sort out the misstatements and misunderstandings. It will guide them from first word to first sale. It can help a frustrated writer make a quick and painless transition to become a less frustrated writer and publisher. Writers often decide to self-publish and use a “self-publishing company,” “print-on-demand company” or “subsidy publisher” with the thought that the writers will become self-published authors. The new book provides detailed advice and instructions on title selection, book design, page formatting, sales, advertising, and publicity. 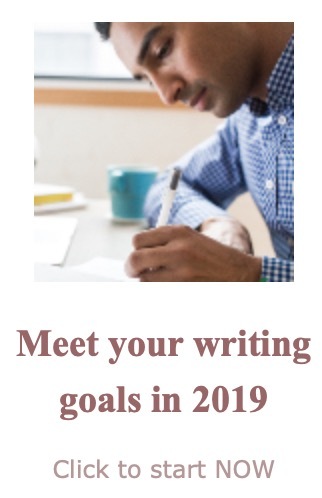 It even includes a test to help writers decide if they are good enough to have commercial success, plus tips on forming and naming a publishing business, and publishing for others. The book covers hiring designers and editors, compares the costs and earnings for different methods of publishing, and discusses eBooks, copyrights, sources of inexpensive high-quality photographs, pricing a book, setting up a website, and getting book reviews. According to Marcus, many books on self-publishing are out-of-date and out-of-touch. He says, “There’s a lot of misinformation that can unnecessarily discourage potential self-publishers, and cause them to waste time, waste money, and have inferior books.” In his book, Marcus reviews more a dozen other books, and points out which ones have good or bad advice for prospective authors. 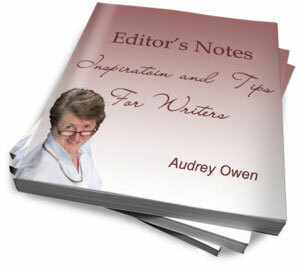 Although aimed at self-publishers, the book has considerable information and advice that will be valuable to every writer — even those who use a traditional publisher or a vanity press — including publishing terminology, a discussion of various booksellers, marketing, royalties, and even tips on grammar and spelling. Become a Real Self Publisher is subtitled, “Publish a better book, Publish it faster, Make more money, Have more fun.” The 432-page book, published by Silver Sands Books, has a $19.95 cover price. It is available from Amazon.com, Barnes & Noble, and other online and terrestrial booksellers. The ISBN is 9780981661742. Note to journalists and reviewers: review copies are available.